Throughout 2016 all proceeds from Mage Titans after the organisation costs of the event will go to The Royal Manchester Children’s Hospital. Previously Mage Titans and Space 48 have helped the charity with their helipad appeal, which they have recently exceeded. Outstandingly, the charity are now in the process of adding a 24-hour access helipad to their grounds; connecting critically ill and injured to specialist hospital staff at a quicker rate and with delicacy. The helipad will also be used by the Manchester Royal Infirmary and Saint Mary’s Hospital, who see over one million patients each year. Now the RMCH have reached their helipad appeal fundraising goal, their focus is on improving and expanding the specialised equipment they offer and the research they undertake. Improved equipment and research allows the charity to improve the diagnosis and treatment of children. 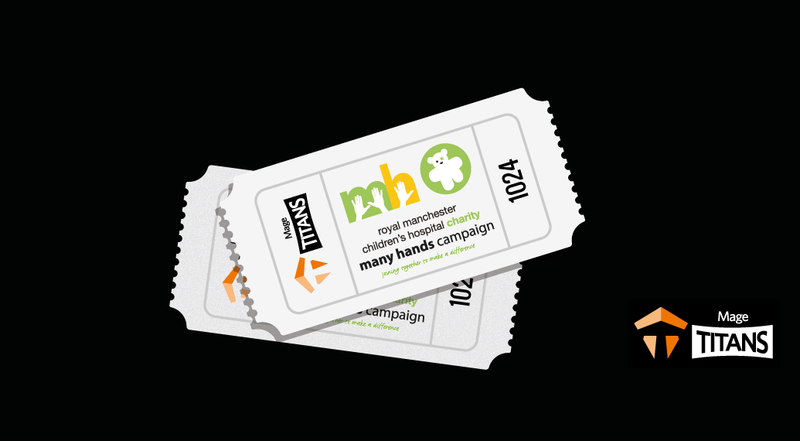 So every ticket that you buy goes a little towards a great Magento community event, but a lot towards the health of thousands of children across the country.